We are delighted to share what the ARC team has been doing during recent months. 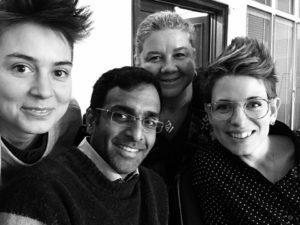 We started 2017 planning our work for the year and beyond, and thinking strategically about the unique role that ARC can play in the evolving international LGBTI landscape. We also participated in several meetings with partners and with the new UN Independent Expert on SOGI, we delivered speeches and trainings, and actively engaged in sessions of the Human Rights Council and Commission on the Status of Women. 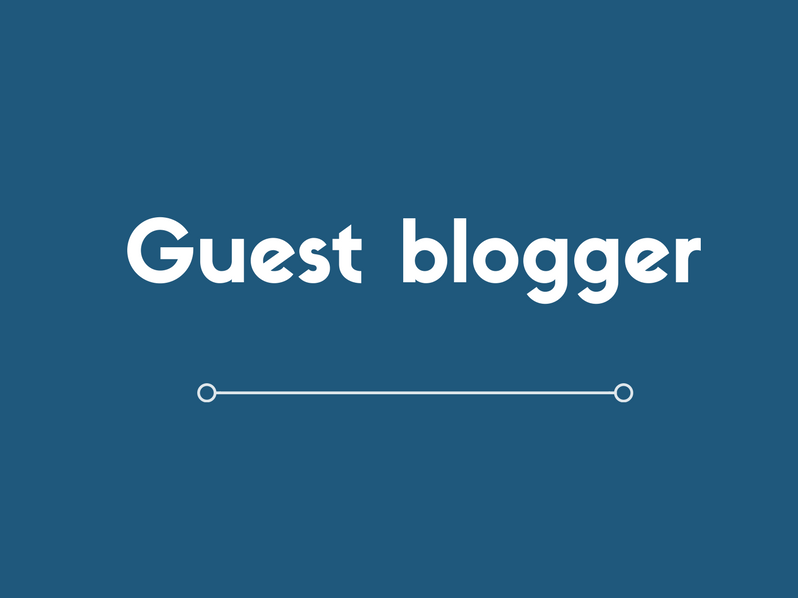 We are happy to share this review of our latest activities with you. We want to introduce Erin Aylward to the ARC team as a research associate for the next few months. 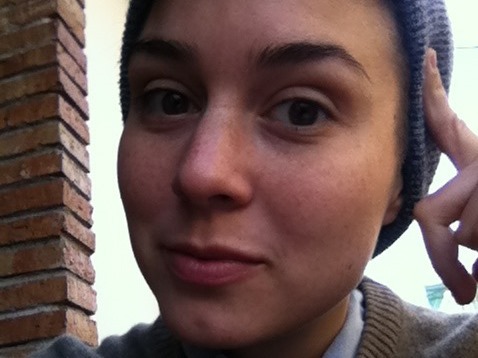 Erin is a doctoral student who researches SRHR and LGBT rights within the UN, and has also worked as the research lead for a Canadian network of LGBT organizations called the Dignity Initiative. Welcome Erin! 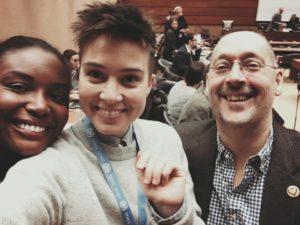 There were a series of meetings organized with the first UN Independent Expert on SOGI (Vitit Muntarbhorn) at the end of January in Geneva. These meetings gave states, civil society and other stakeholders from across the globe a chance to apprise the IE on their concerns, as well as highlight specific issues affecting lesbians, and trans and interesex persons. ARC’s Research Officer, Dodo Karsay, and Geneva Director, Arvind Narrain, participated in a number of the meetings. 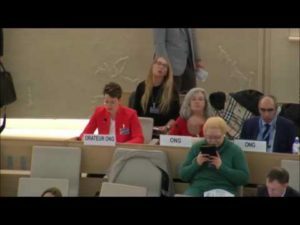 The Human Rights Council 34th session was relatively quiet after the extensive attention to SOGI issues over the appointment of the IE on SOGI in the previous sessions. However, as ARC International, we monitored the proceedings and relevant reports from Special Procedures and delivered a statement on cultural rights. We share the Special Rapporteur’s concern on how extremist and fundamentalist abuses of cultural rights have restricted sexual and reproductive health rights. We also note that those perceived as LGBT, along with other marginalized groups, all too frequently become targets of organized abuse by religious extremists and extreme nationalists. See more about ARC’s statement here. From March 13th-27th, representatives of UN member states, UN entities and more than 3,900 non-governmental representatives from 138 countries participated in the annual UN Commission on the Status of Women in New York. This year’s theme focused on women’s economic empowerment in the changing world of work. Because the main political outcome of this event, the Agreed Conclusions, are a consensus-based document negotiated by UN member states, LGBTI rights have yet to be explicitly mentioned or acknowledged within final conclusions. However, in an era of backlash against SOGI and sexual and reproductive health rights, women’s rights and LGBTI rights activists had a crucial role to play in holding ground and working with supportive states to protect previously negotiated language. 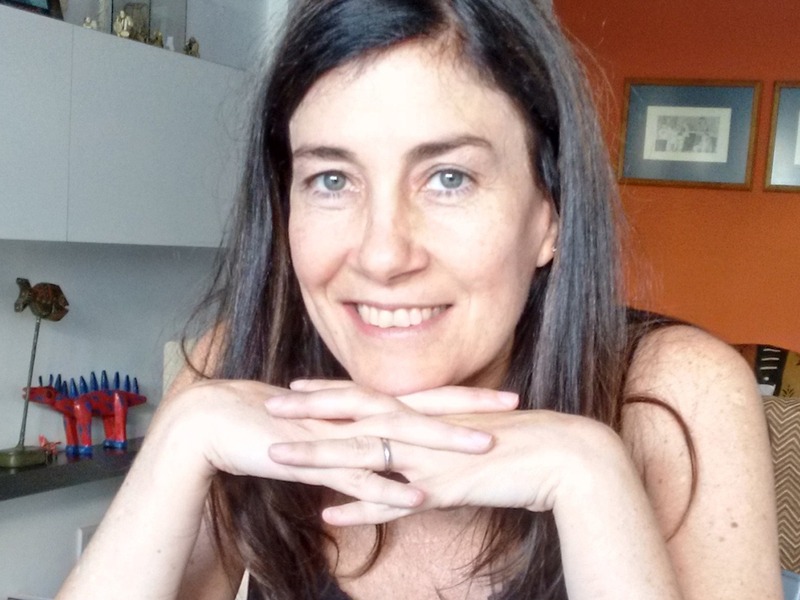 For the duration of CSW, ARC’s Erin Aylward worked with like-minded organizations towards the Agreed Conclusions, and ARC’s team also worked remotely and on-site to co-host a side-event with the Canadian and Argentine Permanent Missions to the UN in New York. The event, titled “Successes and Barriers to Women’s Economic Empowerment” took place in a packed conference room of the Canadian mission, and featured remarks by Maryam Monsef, Minister of Status of Women of Canada, and by Martín García Moritán, the Permanent Representative of the Argentine Mission. Raphael Crowe, ILO’s Senior Gender Specialist then moderated a moving and dynamic panel, featuring the experiences and analyses of Chloe Schwenke (International Centre for Research on Women, USA), Derricia Castillo-Salazar (Our Circle, Belize) and Wangshu Lian (Common Language; Chinese Lala Alliance). You can watch how the event unfolded online here. More information on CSW61 here. 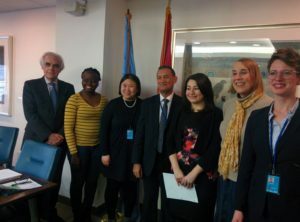 In March, ARC was invited to participate in an Expert Meeting on “Gender sensitive approach to extrajudicial, summary or arbitrary killings” jointly organized by the Office of the High Commissioner for Human Rights (OHCHR), the Geneva Academy of International Humanitarian Law and Human Rights (Geneva Academy) and the Special Rapporteur, Agnes Callamard. The meeting brought together academics, civil society representatives and practitioners to address this issue. The discussions will inform the SR’s first thematic report to be presented at the 35th Session of the United Nations Human Rights Council in June 2017. ARC’s ED, Kim Vance, prepared a brief, and Geneva Director, Arvind Narrain was able to participate in the meeting. 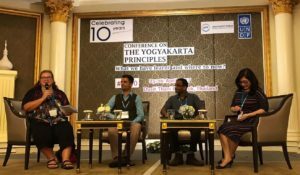 The Asia Pacific Forum of National Human Rights Institutions (APF) and United Nations Development Fund (UNDP) organised a 2 day regional conference: “The Yogyakarta Principles: What have we learnt and where to now?” on 25-26 April 2017, in Bangkok, Thailand. The APF conference celebrated 10 years of the Principles and mapped out opportunities for the future. It brought together over 100 participants, from over 25 countries, representing national human rights institutions, governments, and civil society organizations, all who work to promote the inclusion of lesbian, gay, bisexual, transgender and intersex (LGBTI) people from across the Asia Pacific region and globally, and the within the UN system. Both Arvind Narrain and Kim Vance were invited to attend the conference, as well as chair and speak on a panel. 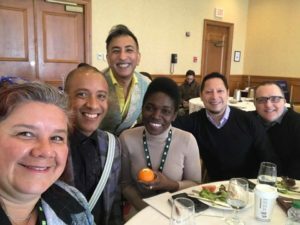 ARC’s ED, Kim Vance, was pleased to co-facilitate, with fellow Dignity Initiative partners, a session on “Pride events and global LGBT2Q+ issues” at the 2017 Fierte Canada Pride National Conference in Halifax in February. This conference provided an important platform to generate ideas for small and large pride festivals across the country, as well as discuss Canada’s first national Pride festival to be held this summer in Montreal in conjunction with “Canada150” celebrations. The Dignity Initiative will convene its members during the festival, as well as facilitate a number of sessions. At the beginning of March, international and regional organisations working on different UN mechanisms, met to discuss the scope of their work and opportunities for enhanced collaboration. The meeting was useful for mapping the challenges faced in advocating for SOGIESC rights at the international level, the approaches individual organisations have taken to SOGIESC rights advocacy. as well as the strategies and opportunities for engaging with 18 UN mechanisms and agencies such as the Human Rights Council, World Health Organisation, SDG’s etc. 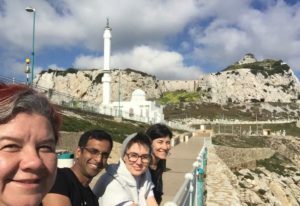 ARC was represented in the discussions by Kim Vance, Dodo Karsay, Arvind Narrain and Erin Aylward. As the lens increasingly shines on Canada to demonstrate leadership on LGBTI issues, especially in contrast to the actions of the new U.S. administration, we were pleased to accept an invitation to develop and deliver a module on the international LGBTI context with Global Affairs Canada staff in Ottawa in March. The module focused on: an overview of the current state of international developments at the UN; the Yogyakarta Principles (a framework for SOGIESC obligations and work); and important data/documents that can inform Canada’s role globally. 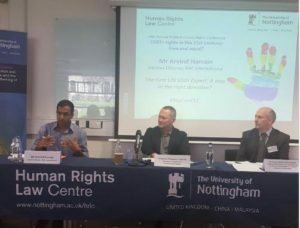 Our Geneva Director, Arvind Narrain, was invited to be the keynote speaker at the Eighteenth Annual Student Human Rights Conference on LGBT rights, convened by the University of Nottingham Human Rights Law Centre in March. During his presentation, Arvind analysed the appointment of the first UN Independent Expert on SOGI by looking at the politics of the five key votes by states in four UN organs as well as the strong civil society activism behind the result. 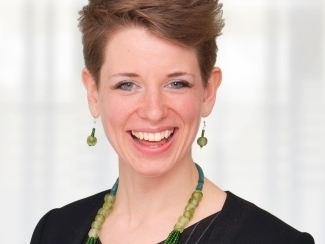 At the invitation of three Canadian embassies and local LGBT civil society organizations, ARC’s ED, Kim Vance embarked on a speaking tour in Asia at the end of April. 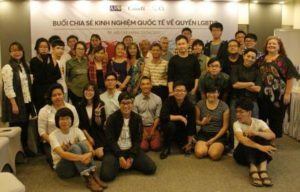 Beginning in Singapore, then Vietnam, and finally Thailand, Vance engaged in community and diplomatic dialogues on a diverse range of issues (identified by local partners) such as UN/International advocacy, LGBTIQ parenting, criminalization, supporting intersex movements and feminism. In January, most of the ARC team met for a week-long retreat to plan and strategize about our work. 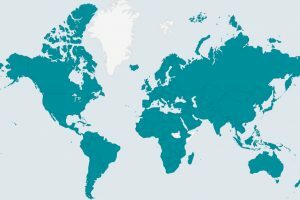 We solicited feedback from partners, and committed ourselves to continuing to build strong alliances with national and regional human rights organizations and support their work by providing useful analysis, research and tools, developing and delivering training, facilitating networking spaces, and supporting advocacy. The YP+10 process is now underway with a Drafting Committee meeting in April in Bangkok, an experts meeting in late June in Geneva, and a possible launch of a draft commentary to supplement the Yogyakarta Principles in September, 2017. 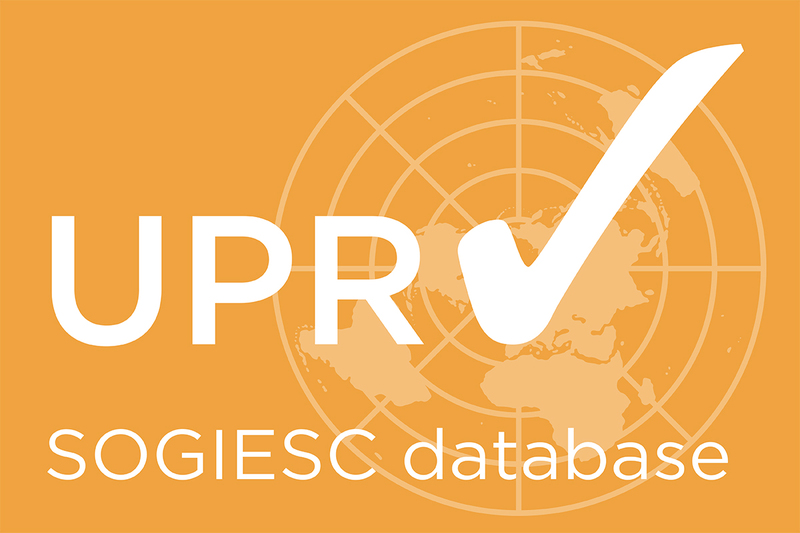 ARC and its key partner, ISHR, are working with experts and a secretariat to address how the YPs should be supplemented to reflect developments with respect to SOGIESC over the last 10 years. ARC has been engaging as an organizational partner in the upcoming World Outgames Human Rights Conference in Miami from May 26-29th. 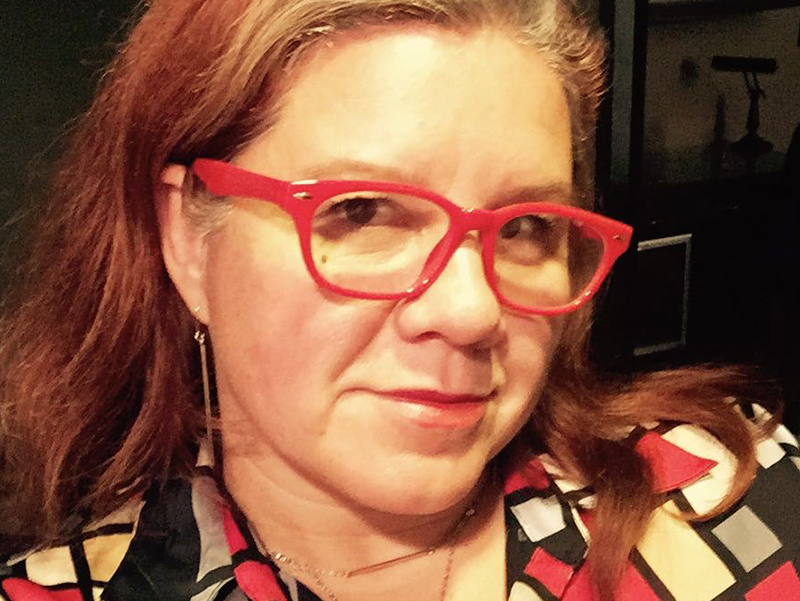 ED, Kim Vance, will participate in the conference activities and caucuses. 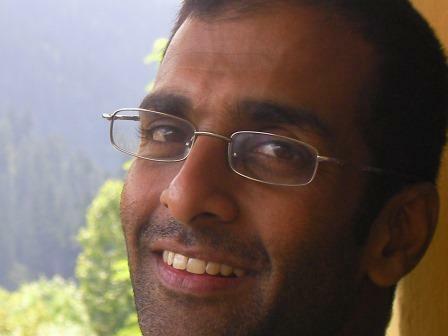 ARC’s Geneva Director Arvind Narrain will participate in a conference to examine the decriminalization question in the African, Caribbean and Asian contexts. The conference will take place in early May. The June Session of the Human Rights Council will be closely monitored as we anticipate the first report of the Independent Expert on SOGI. Apart from getting a sense of the direction that the IE will be taking, ARC will be working with partner organizations and like-minded states to minimize any efforts to destabilize or discredit the report or the mandate.